There are no doubts that in a not-so-far future the cinema industry will change. Not only Animation Studios gets powerful software to play reality, but also the new recording techniques are changing. Yet, when there are so many contests and festivals that reward films and moviemakers recorded with mobile phones, no one expected that Steve Soderberg shot 'Unsane' with his iPhone and even enjoyed it. Despite the inconvenient trouble of extremely sensitive to vibrations that in many times attempts against the shooting process, Soderbergh qualified the experience as good. Soderbergh’s movie premiere will take place at the Berlin Film Festival, worldly known as Berlinale. But Unsane wasn´t the first film shot with an iPhone. A 2015 Sundance Festival success, Tangerine, was filmed with the camera of a 5s iPhone on the set. Sean Baker won critical acclaims for his film, which debuted at the prestigious Festival. According to a poll by Pew Research Center, nearly two-thirds of all American adults currently use a smartphone, and the video capabilities of these devices are growing at an outstanding rate. Therefore, is very common and maybe it will be quite normal in a developing filmmaking industry, the fact to film with a smartphone, a possibility that may become a trend in the future. However, some art critics are skeptical; some of them have more romantic arguments than reasons. Nevertheless, with advances in technology and a growing number of innovative smartphone accessories, the future of smartphone filmmaking is getting interesting. That could start a war against the biggest company cams’ manufactures or a conflict of interests. Many enthusiastic of smartphones in Cinema praise how iPhone “updates the native camera app so that we can now lock the focus and exposure without the need of another app”. In addition, "Handsets are also improving, with cameras proving a particularly competitive aspect”. Unsane is a psychological thriller about the story of Sawyer Valentini, who moves to a new city to escape from her stalker David but finds herself admitted to a mental health institution where he works. Sawyer is conscious that she hasn´t a mental disorder, although she has been wrongly admitted and no one believes her. She got kidnapped by her stalker, who keeps her in the mental institution. After having been captured, David starts to give her pills that keep lashes out and imprisons her in a padded cell where he declares his love for her. Joshua Leonard, the actor who plays David, confirmed that he was astonished by Soderbergh’s project and the unusual way of filmmaking. He said to media that “there’s nothing more fun as an actor than just being in the thick of the creative process when you’re actually on set and not having to wait for the filmmaking machine to catch up with the creative impulse”. He added that filming with an iPhone enabled the actors to stay in the world of their characters and the film more than the conventional camera set-up would allow. One of the advantages of the experiment and the process is the chance to reduce the budget and the cost of the film getting the similar results. It is easier also to move the equipment and the crew to several locations to shoot. Soderbergh explained that is possible to be in the location footage without punching holes in walls or securing bulky camera equipment to ceilings. On the hand, he said in an interview a month ago that iPhone's 4K footage looks like "velvet" and called the device a "game changer. "Soderbergh believes that it will be hard to go back to the conventional filmmaking. Furthermore, the filming time is shorter than it takes in conventional movies. Also, iPhones provided a superior image quality. Another positive aspect, according to Steven’s opinion, is that it helps actors to have better performances. Sometimes, professional actors always worry unconsciously about the filmmaking process and that restrains them from having better performance or takes which are longer and repeated. Conventional filmmaking process involves large camera rigs, audio and lighting hardware, as well as dollies, cranes and other equipment that are too much distraction for actors. People use to be in front of a cell phone taking pictures and selfies so the pressure in front the camis minimal. “It really minimized any self-about the process of making a film”, think Steve. 400 films, to be screened at the festival, are contending for the Golden Bear. 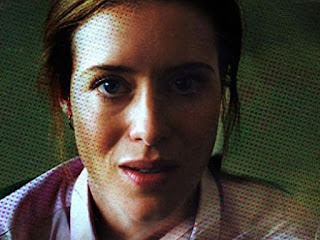 Still, Unsane wasn´t among the 19 movies competing for the main prize. The Berlinale is quite different from Oscars or other kinds of film festivals. It shows experimental films and projects, which are closer to art than to entertainment. Most of the groundbreaking and original films and directors generally participate in this event and have had their premieres at the Berlin Film Festival.